Immediate warning of ground-level perimeter threats and airborne drone penetrations of high-value areas are fundamental aspects of facility security. 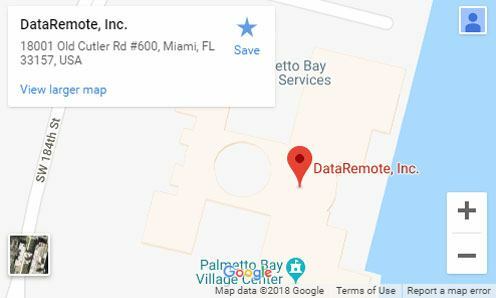 DataRemote is a North American leader for secure perimeters – utilizing partnerships with Solarbeam International and SpotterRF Compact Radar. These partnerships allow us to provide the latest advancements for wireless perimeter security, perimeter video verification, Counter-UAS (CUAS), compact radar large-area surveillance, and multi-layered threat detection. 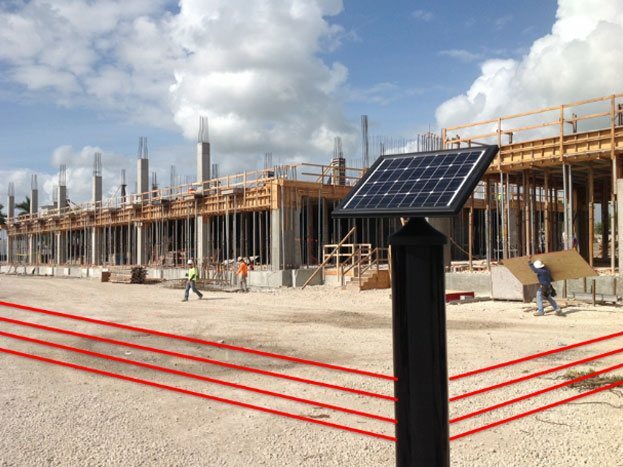 The patented Solarbeam Stealth tower series provides a cost-effective, easy-to-install outer layer of protection that increases camera effectiveness and redirects manned security from roving patrols to manned-response – cutting manpower and improving security awareness. 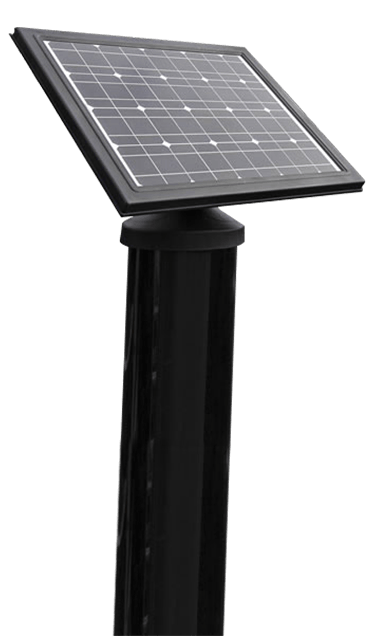 The Solarbeam Slimline tower series adds a larger, hybrid tower, to provide remote perimeter video – further enhancing security. Finally, no solution is complete without addressing Counter-UAS – where DataRemote partners with SpotterRF radar to provide turn-key CUAS kits capable of hemispheric or dome drone detection to 500 meters and with automatic control link jamming available (where approved). SpotterRF and DataRemote also provide a complete line of turnkey ground radar surveillance kits to secure any facility. All SpotterRF kits and Solarbeam products are available on the DataRemote GSA Schedule for Federal and Military purchase, through AT&T SMART BASE & SMART CITY sales, and through our partnership with US Communities for local municipality and city governments. The City of Homestead is a south Florida community of 60,000 and prior to 2005, experienced common city ailments such as theft and vandalism in city-owned facilities, late-night trespassing drug use at city parks, and increased police patrol of city properties to safe-guard these areas. Unfortunately, a late-night juvenile trespasser drowned in a City-owned pool leaving the City vulnerable to expensive litigation and adverse publicity. Additionally, the City owns and operates its power plant and substations which again creates a significant liability due to trespassing. In the face of steadily increasing police patrol costs, insurance costs, risk exposure, and a tragic fatality – the City began searching for cost-effective solutions to secure their facilities. 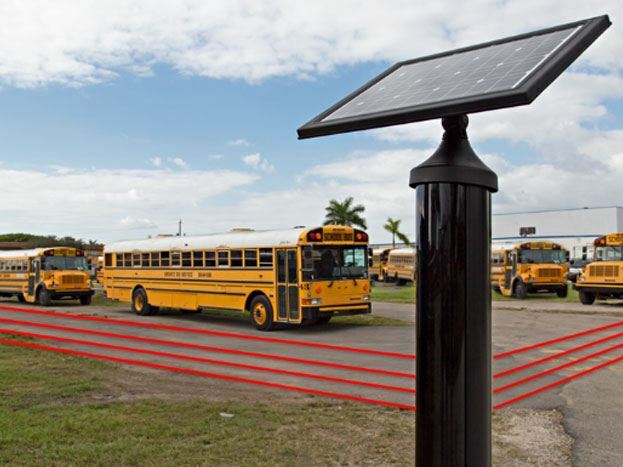 After reviewing many possible solutions, the City created a partnership to install Solarbeam perimeter systems for nineteen City-owned facilities. The perimeter of each facility reports directly to the police station with a silent alarm, allowing for immediate central dispatch of a nearby police unit. As the Solarbeam perimeter systems continued to prove successful and reliable at detecting intruders, the police department shifted patrol patterns away from City facilities and back into the community they serve. This reallocation of police patrols continues to reduce crime, cut costs and improve police response in the Community. 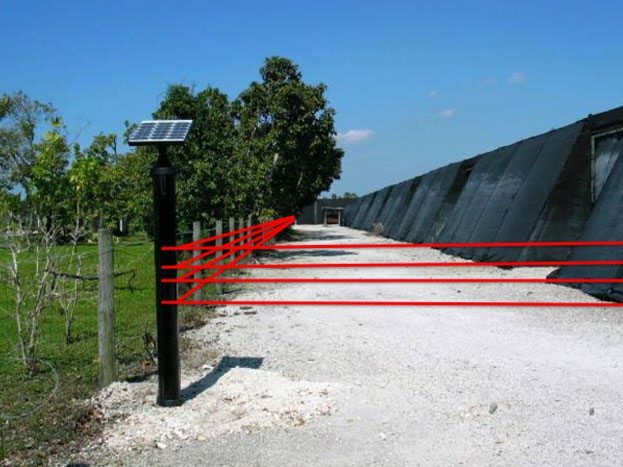 Solarbeam wireless perimeters systems are active IR beam fences that are solar powered and completely autonomous, requiring no costly improvements for installation and operation. 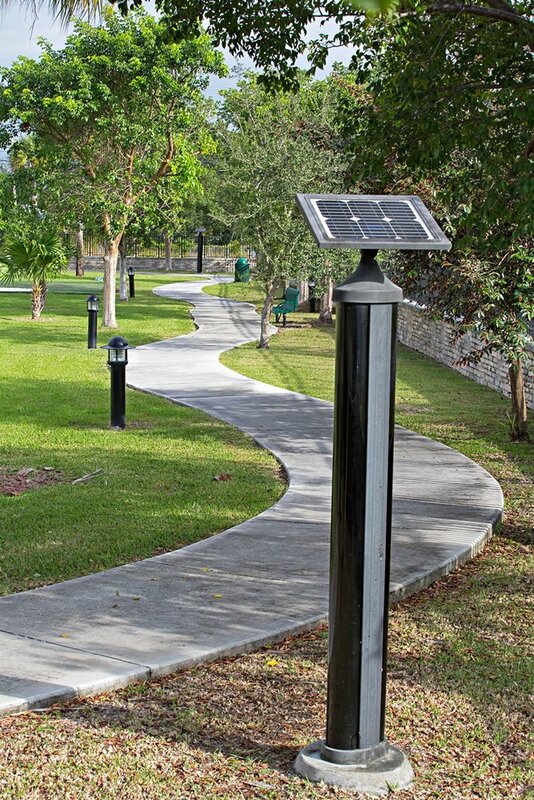 All Solarbeam perimeter and camera products are self-powered through solar and battery technology, meaning free from costly electrical infrastructure and ready for rapid deployment. Patented technology, proven performance, highly reliable, and perfect for establishing an outer layer of security are hallmarks of this system. Additionally, Solarbeam Slimline camera towers offer the added advantage of video verification of intruders – again without the need for costly infrastructure. Our approach – IR beams to detect, cameras to verify – is in contrast to passive-only systems that require many analytical factors and complex computer software to function. Solarbeam perimeters and video verification are simple, time-tested and proven effective – packing a powerful one-two punch to detect intruders. Solarbeam – patented technology, Safe Skies reviewed and providing secure perimeters when no one else can. Critical Infrastructure Protection or CIP is achieved by creating multiple layers of security – starting with our active IR beam fence adjacent to any existing perimeter fence or wall. This active perimeter system provides immediate intruder detection, allowing camera systems to be alerted and validate the intrusion. Facility alarm systems provide the last layer of security, comprising a layered defense often found in high-security applications such as airports, prisons, and power plants. Looking for a deterrent affect? Solarbeam towers can be equipped with strobe lights, sirens, and voice annunciators to provide an immediate deterrent to intruders. Redeployable – should your future security requirements change, Solarbeam systems are easily reconfigured to meet the new challenge, ensuring your investment is in the product and not costly infrastructure. 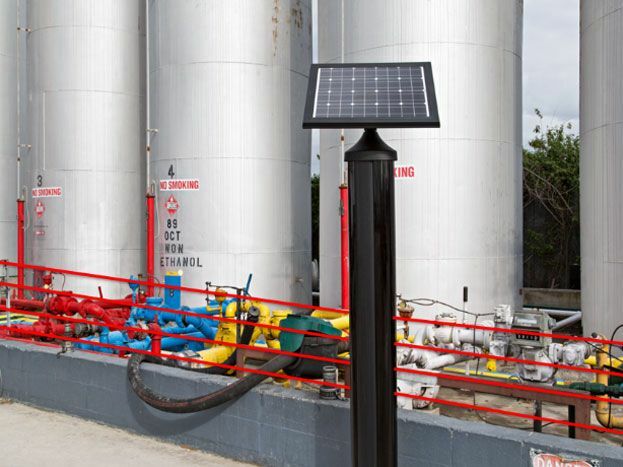 Thanks to Solarbeam wireless perimeters and Solarbeam Slimline camera systems, this level of Critical Infrastucture Protection is now available in a cost-effective and highly reliable manner. Make Solarbeam systems part of your CIP plan. 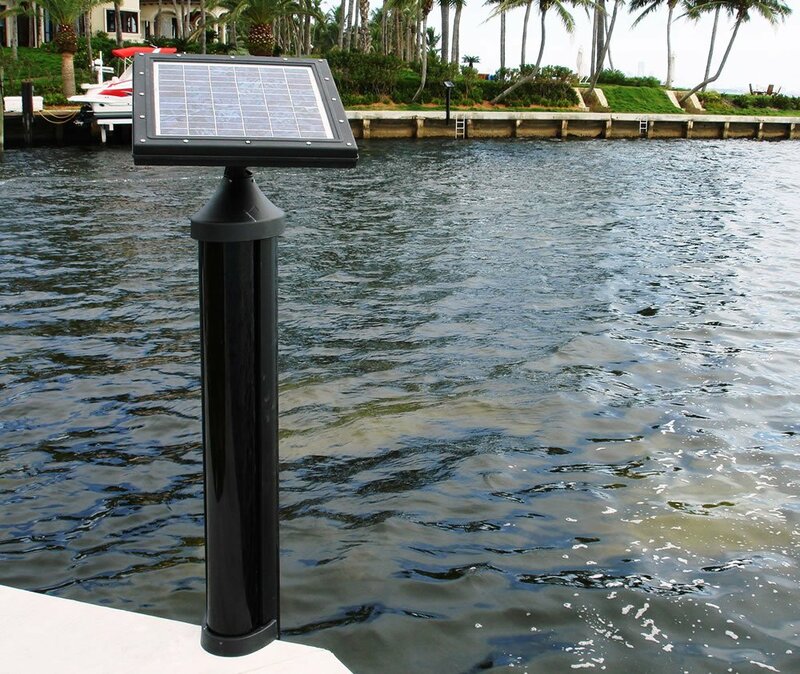 Solarbeam Stealth towers are constructed of indestructible polycarbonate and tough Lexan lenses that completely enclose and protect all sensors, electronics, and power supply components from outdoor elements. Permanent solar panels and stainless attachment points complete with tamper-proof assemblies and hi-wind ratings, ensure the Stealth towers can withstand the harshest conditions year-after-year. Specially designed batteries, constantly recharged by the solar panel, guarantee 7+ days of backup system power and 5+ years of uninterrupted operation. Solarbeam has hundreds of Stealth towers that have been operational for 14+ years, AND they include a lifetime lightning warranty and unmatched ten-year Stealth warranty. 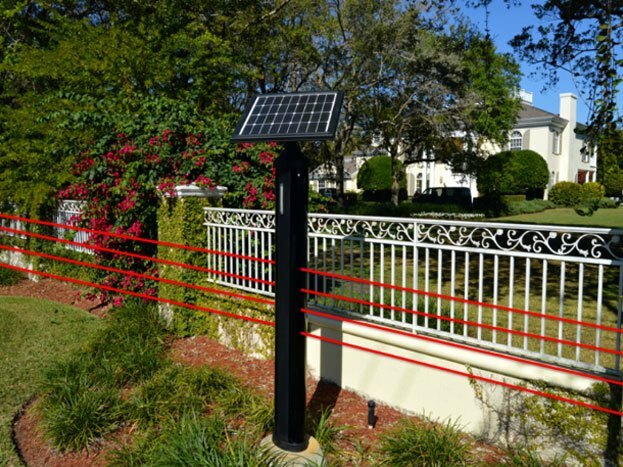 Low installation cost, low recurring maintenance costs, and an unbeatable warranty makes Solarbeam Stealth towers the best choice for your first line of defense. DataRemote and Solarbeam provide a comprehensive warranty unmatched in the security industry. Stealth tower installations are guaranteed free from defects and will operate as specified for a period of one year from the date of installation (when installed by a certified Solarbeam dealer). 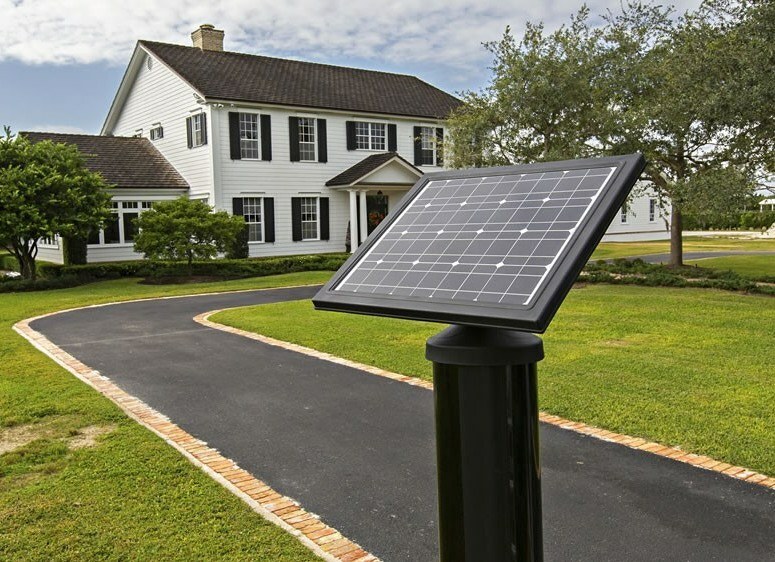 Additionally, Solarbeam offers a ten-year warranty for the tower body to include base, attachment points, chassis, lenses and solar panel (does not include discoloration or damage from outside influences). Finally, Solarbeam ensures that IR beam arrays and internal electronics will be warranted per manufacturer’s warranty but not less than five years – and that all batteries have a prorated warranty covering 100% for the first two years (then prorated for years three through five). 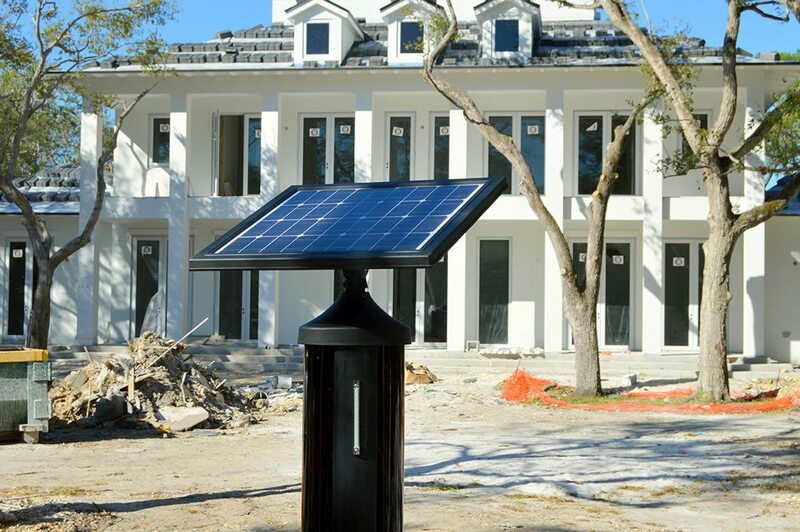 All Solarbeam Stealth solar towers carry a lifetime warranty against lightning strikes and surges – unmatched in the security industry! 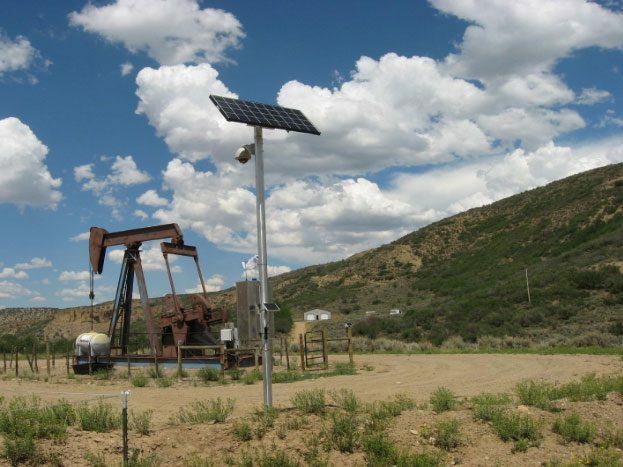 Solarbeam Stealth towers are completely wireless providing perimeter protection in the most remote perimeter areas and where protection was not previously affordable. Adding an outer layer of protection provides immediate warning of intruders and creates a layered approach to security, enhancing camera systems and manned patrols. Stealth towers can be placed up to 660’ apart and uses TSA Safe Skies reviewed IR beam technology, creating an invisible beam fence that protects one mile of perimeter with just nine towers. 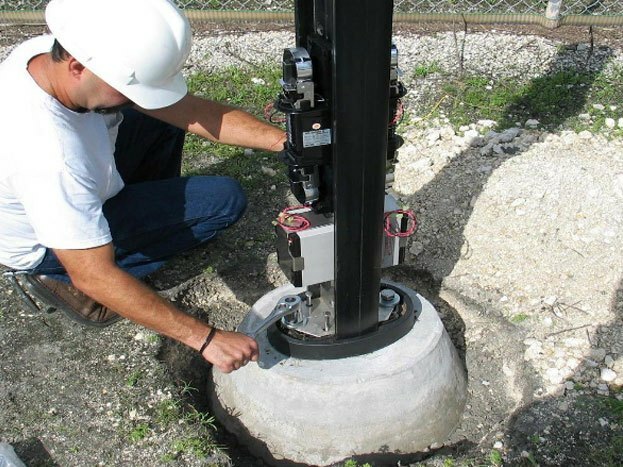 Systems are tailored to the level of security required, utilizing the latest IR beam technology and precise site-surveys to ensure perimeters are truly secured. 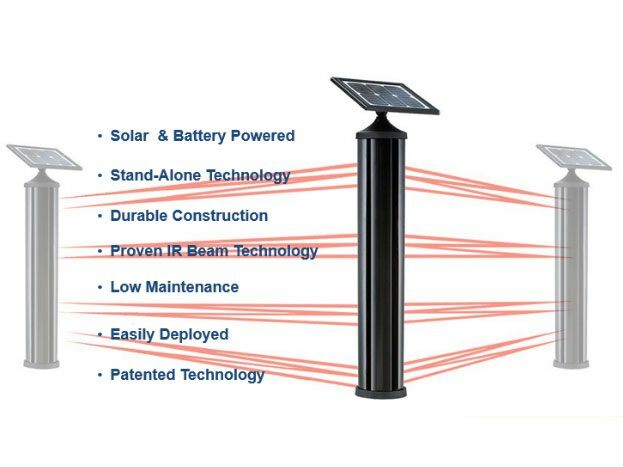 The patented Stealth towers are completely stand-alone, using solar-battery and cellular technology to eliminate the need for costly electrical and data infrastructure. Simple to install, cost-effective and a superb first line of defense for commercial, industrial and residential properties.